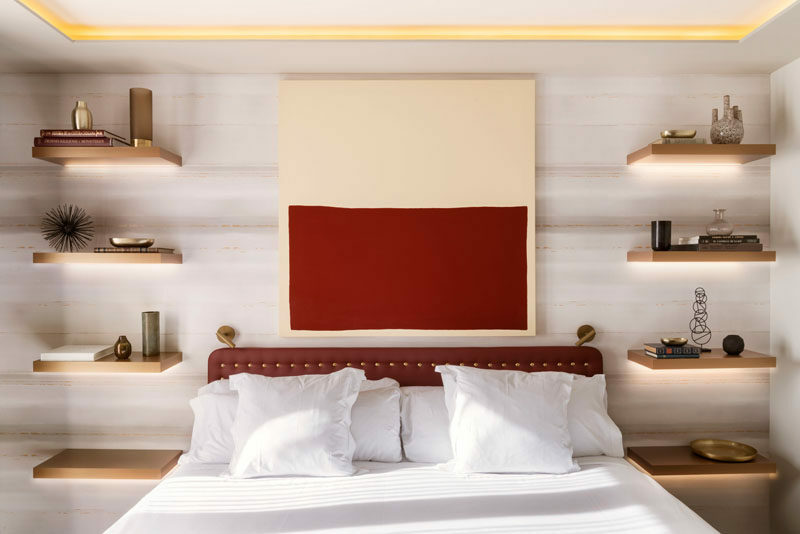 When designing this room for Hotel Vincce Mae in Barcelona, Spain, Jaime Beirestain Studio decided to use the empty space beside the bed for shelving. 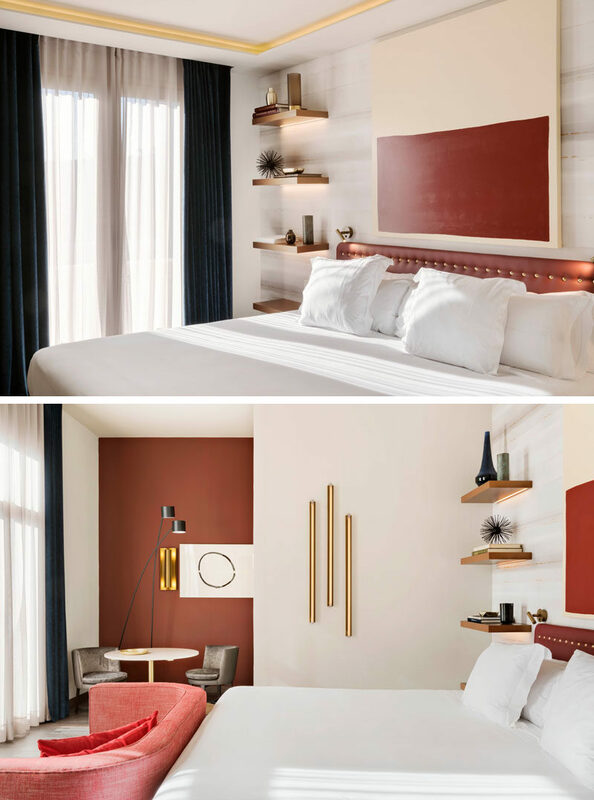 Four floating wood shelves have been installed on each side of the bed, with the lowest shelf at the correct height for a bedside table, while the other three shelves have been used to display decorative items. 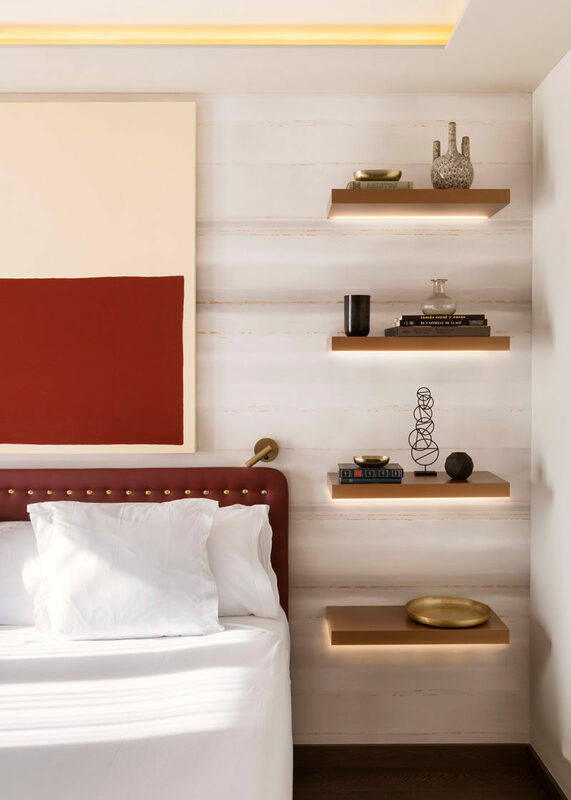 Each shelf also has a simple strip of hidden lighting to highlight the shelves and act as bedside lamps.